FARMERSVILLE – Last week the Farmersville’s city council signaled a hard break from current commercial cannabis philosophy. When citizens decided to allow the city to tax commercial cannabis in November 2017, Farmersville’s city council decided to allow one dispensary per 10,000 residents. But since last Monday, Jan. 14, the newly elected council signaled they would like to allow for as many dispensaries as the council decides. Councilman Paul Boyer lent a dissenting opinion to keep with the original rationale in 2017 to allow for just one dispensary in town. “I thought we were going to allow one and see how that went. We need to take it slow and get it right,” Boyer said. What was an open call last year for cannabis businesses to apply for Farmersville’s lone retail license, led to five different establishments putting their hats in the ring. The window was open from Sept. 25 to Nov. 30, and all the applications have been scored by the third party contractor, HDL, that Farmersville uses to evaluate commercial cannabis applicants. The opportunity only came after the City realized no prospective businesses were coming into town and then decided to lower their gross receipt tax rate from 8.75% to 5% and their per square foot tax from $12 to $7, last June. Now that the Council is considering an unlimited license change, chief of police Mario Krstic says they need to be conscious of where these businesses want to locate. “We have to make sure the locations are viable and control where the dispensaries are located. One of the existing applicants have applied for a spot next to a fast food restaurant. I am not fond of that, but otherwise if run properly you hardly notice they are there,” Krstic said. According to a City press release, a second change would allow retail cannabis to operate in the existing industrial zones which already permit cultivation. Current Farmersville cannabis ordinance says dispensaries can only operate in light industrial zones, of which, a General Plan Amendment was approved by the Council last year to create a light industrial land use designation south of Noble Avenue near where cultivators are allowed to operate. During Farmersville’s Jan. 14 meeting, city manager Jennifer Gomez made sure to point out that more dispensaries does not mean more money for the City. “You have to understand that just because one dispensary brings in $50,000 in taxes does not mean two will bring in $100,000. They will be splitting the market,” Gomez said. Newly elected councilman Ruben Macareno said the more revenue the City could gather the better. “It is beneficial to capture the revenue and we need to take this opportunity. If this community had more resources, we could talk about taking it slow. I agree with the mayor,” Macareno said. Another change being considered was deliveries. Last week’s endorsement by the State of California to allow marijuana home deliveries statewide made the city’s ban on deliveries within the city a moot point. 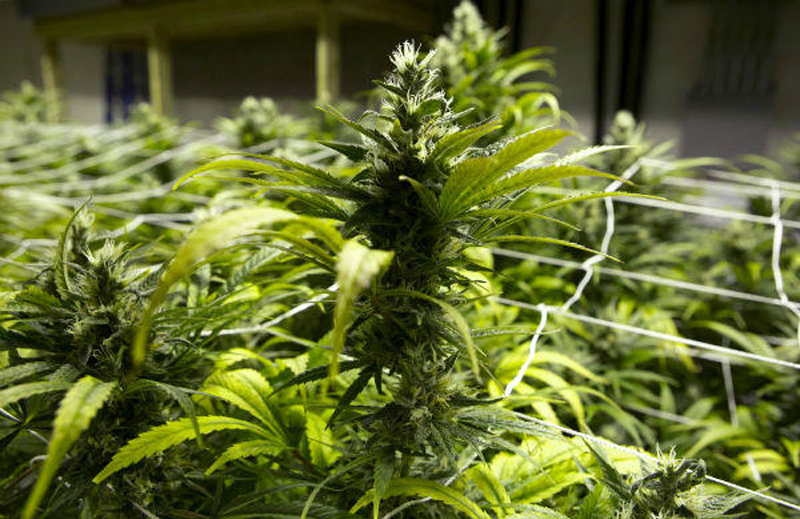 A Farmersville press release issued last week said the Council wanted to revisit their policy on home deliveries pending the Bureau of Cannabis Control’s proposed rule change. Last summer, the council had a firm no delivery policy. Former councilman, and at the time vice mayor, Matt Sisk said deliveries would be a drain on public resources. Now, Mayor Gomez says prohibiting deliveries doesn’t make sense. And trying to police deliveries in discreet cars that are assumedly not violating traffic laws is difficult to police. “When we make a law at the city level it needs to make sense. And I don’t even know how you would begin to control deliveries,” Mayor Gomez said. Since last Monday’s meeting Mayor Gomez says he has heard concerning chatter from residents over the role the public will play in allowing cannabis businesses in town. And more to the point where they will be able to locate. He says that he reminds residents commercial cannabis still has to complete a dual-track process that includes obtaining a cannabis license and a conditional use permit for the property they plan to use. The City Council still needs to issue the license and the planning commission needs to issue the conditional use permit. Both of which are public processes where the public can weigh in. Although, over where the businesses can locate, Mayor Gomez says that residents are skeptical over allowing dispensaries in downtown when they offer an undefined amount of licenses. But Gomez says that won’t be the case.